Phillip’s Wish has collected over 25,000 blankets for the homeless since its inception, and with the continued support of their community, the charity hopes to expand even further in the future. On an overcast Saturday morning in December, a crowd of more than fifty people gathered inside a Tom Thumb grocery store in Keller, Texas. The diverse group of people featured notable and important figures from around the north Fort Worth area, including members of the Fort Worth Lion’s Club, several mayors of surrounding cities, and even Texas Senator Kelly Hancock and Representative Giovanni Capriglione. As the crowd waited, several speakers took to the podium erected in the store’s coffee-shop lounge to discuss the event. 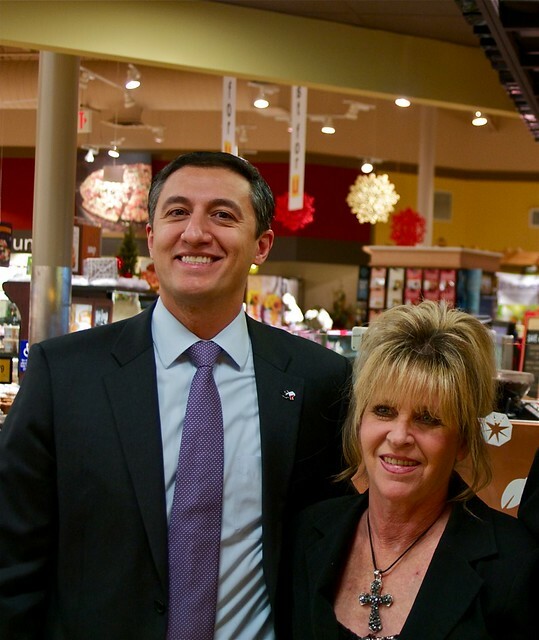 Rep. Giovanni Capriglione and Cyndi Bunch. The tone for the 2013 Phillip’s Wish Blanket Drive was set with those words. Organized by local humanitarian Cyndi Bunch and helped by numerous other members of the North Texas community, the non-profit, named for and inspired by Cyndi’s son Phillip, has held several blanket drives to benefit the homeless in Texas, each time gathering thousands of blankets, hats, sleeping bags, toiletries and other items through donations for distribution free to those in need. 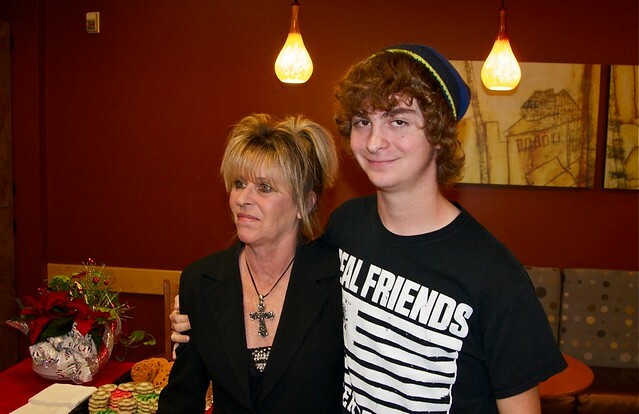 Cyndi Bunch and her son Phillip were introduced to the unforgiving world of the homeless ten years ago, when searching for Phillip’s father in the streets of Fort Worth. Phillip, Sr. suffered from a mental illness that caused him to disappear, sometimes to be found living in shelters or wandering on the streets among the homeless population. One particularly cold night, Phillip noted the myriad of people in the streets, searching for food, a place in the shelters, or simply a place to stave off the wind and rest for a few hours. Phillip, then in sixth grade, looked over at his mother behind the wheel and asked her if she was warm. They drove a while longer, searching for Phillip’s father. Ever curious, Phillip asked his mother if she thought everyone else was warm. She told him that they were not. In 2004, Cyndi started their non-profit, named Phillip’s Wish after his wish that everyone should be at least warm and safe no matter their circumstances. In their first year, the organization gathered around 200 blankets. The next, they numbered in the thousands, and the number continues to rise with each successive drive. In Keller, the group marked the 8th annual drive. The story of Phillip’s Wish has even been adapted into a feature-length film, written by local screenwriter Larry Postel, who bought the rights to Cyndi and Phillip’s story as a benefit to the non-profit. The film, titled 5000 Blankets, is currently in production by Affirm Films, a faith-based production company owned by Sony Pictures. Now 16 years old, Phillip took his turn to speak at the podium, thanking gathered crowd for their help and generosity, marveling at how a “little boy’s wish” could grow into something so great.